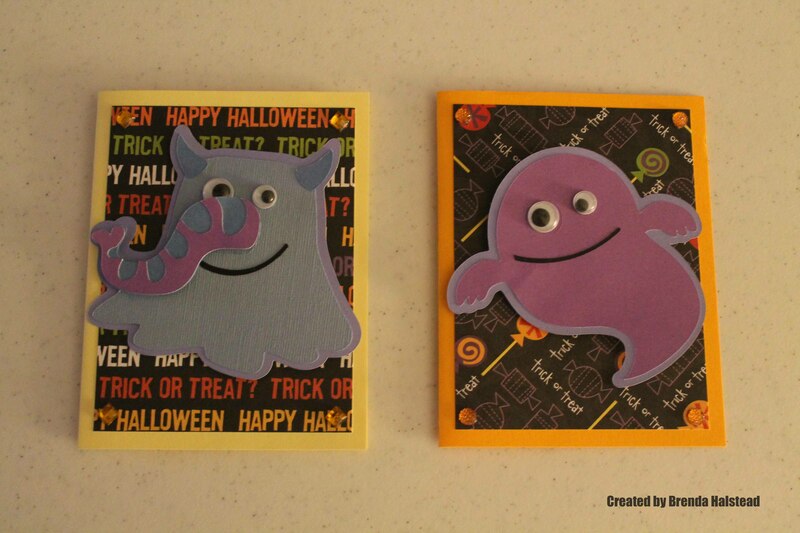 I used the Mini Monsters Cricut cartridge to make these cards. I cut the monsters at 3 1/2″. 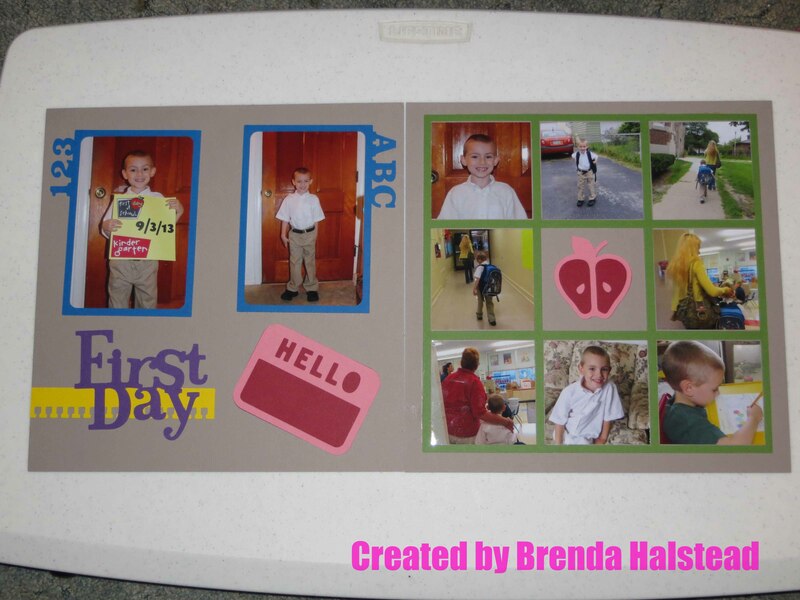 The base of each card is 4 1/4″ x 5 1/2″, and the layer is 3 3/4″ x 5″. I used Recollections cardstock for the bases of the cards, The Paper Studio Spooksville paper pack and Bazzill cardstock for the monsters. I also added googly eyes and Queen & Co. gems and put the monsters on an Action Wobble. I hope you enjoy my cards as much as I did making them. 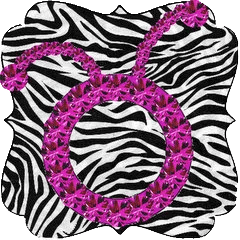 Hello, Brenda from Random Thoughts of a Scrapbooker here. 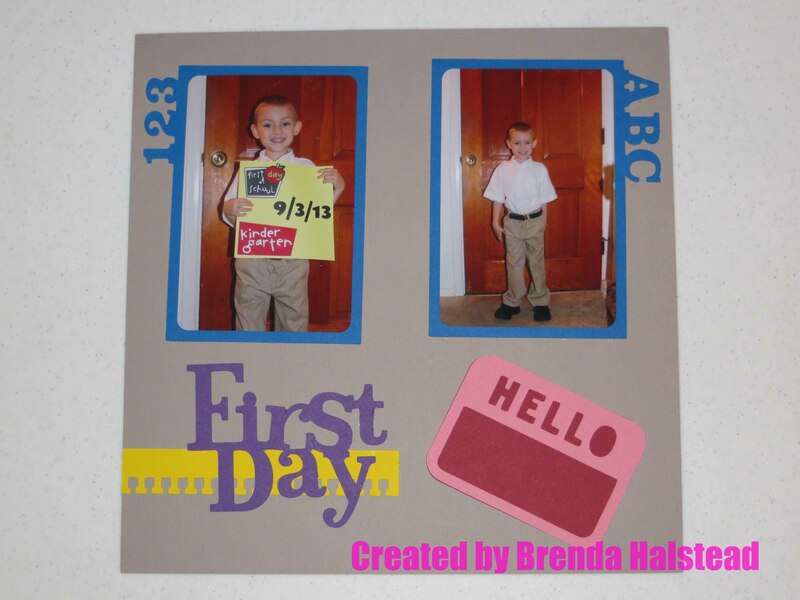 For my blog post today I made this layout of my Grandson’s first day of school using the Close To My Heart Artbooking cartridge. 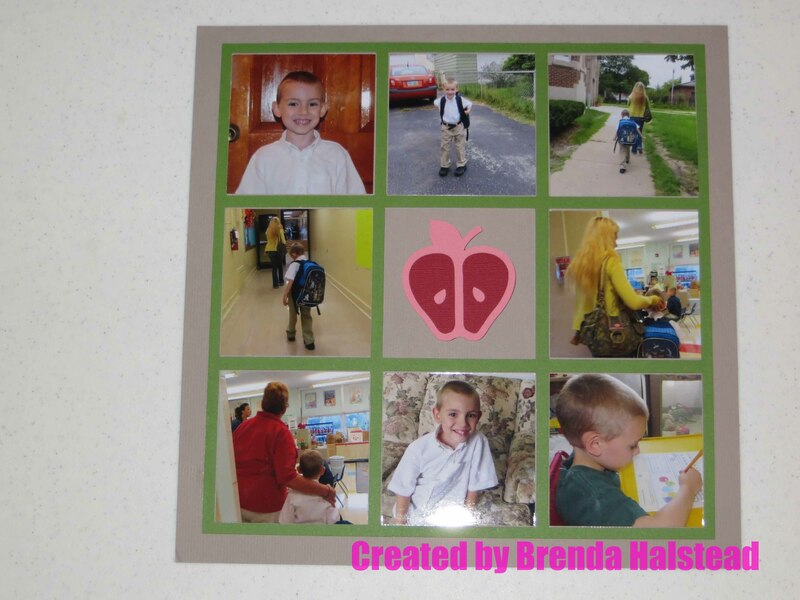 All solid cardstock (except the green mat on the second page) is Bazzill. The green cardstock for the mat is Close To My Heart. When using the Artbooking cartridge, I set the size at 11″ and it cuts everything for the layout proportionately.